Are people really voting for Sanjaya Malakar or is it just a magic of “Sanjaya War Dialer” ? 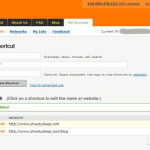 What is Sanjaya War Dialer? Sanjaya War Dialer is a latest development of kingofallnerds.com available on Download.com and uses your computers modem to automatically dial the American Idol voting number over and over and over again until you tell it to stop. Automatically cast hundreds or even thousands of votes for Sanjaya with the click of a button. Who should be American Idol? The question arise is who should be American Idol, just a good singer for e.g, Lakisha or a good entertainer. 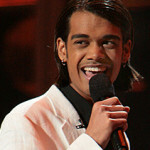 Sanjaya may not be a good singer but he is good entertainer and my vote goes to him. 10 reasons Why Sanjaya Malakar is still on "American Idol"?